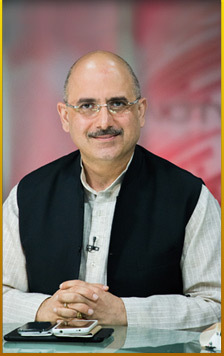 Nalin Kohli is a reputed advocate at the Supreme Court of India representing the Union Government as well as private clients across a spectrum of issues pertaining to civil and criminal law, constitutional law and taxation matters, among others. He is the Additional Advocate General for the Governments of Assam and Rajasthan, representing them in matters in the Supreme Court. In addition to his practice in the Supreme Court, Nalin represents his private and government clients before different High Courts, Arbitration Tribunals, the National Green Tribunal, in the the Adjudicating and Appellate Authority for matters pertaining to the Enforcement Directorate, the Central Administrative Tribunal and the Armed Forces Tribunal, among others. Nalin is currently Chairman of the Board of Directors of the Insolvency Professionals Agency (IPA), set up by the Institute of Company Secretaries of India (ICSI), an agency created to train Insolvency Professionals. He is the Nominee of the Ministry of Corporate Affairs, Government of India, on the Disciplinary Committee of ICSI and has also been a member of the High Level Committee (HLC) set up by the Ministry of Corporate Affairs to suggest improvements in the disciplinary mechanism of the Institutes pertaining to Chartered Accountants, Company Secretaries and, Cost Accountants. He is Vice Chairman of the Anti-Doping Disciplinary Panel (ADDP) of the National Anti-Doping Agency (NADA). National Spokesperson of the Bharatiya Janata Party (BJP), the party in Government in India. The party incharge for the state of Meghalaya in the north east of India. Director of the party's Public Policy Research Centre (PPRC). Nalin was Incharge of the All India Publicity Department of the BJP as well as the Co-Convenor of the BJP’s Policy Formulation Action Group (PFAG). He has also been the Convenor and Co-Convenor of the BJP’s National Media Cell from August 2003 until December 2009. Nalin has conducted media management workshops at various institutions including as visiting faculty to the Indian Institute of Management (IIM) at Ranchi. He has also conducted Media Training Workshops in India and Sri Lanka for television, radio presenters and management professionals. He was the founder Director for a leading Media Institute in collaboration with the Missouri School of Journalism, USA, the oldest journalism school in the world. Nalin read Primetime News on Doordarshan (India’s National Television Channel) and anchored over 2,000 hours of broadcasting of various events, which included the visits of world leaders and dignitaries to India. He has produced and directed over 100 hours of television programs on Art and Culture, Literature, Dance, Tourism, Advocacy and Health.